For Kaua‘i ‘Ohana at the County Farm Bureau Fair - For Kauai OnlineBy Léo Azambuja The Kaua‘i County Farm Bureau Fair brings together thousands of island residents, year after year. This year’s event, which ran from Aug. The Kaua‘i County Farm Bureau Fair brings together thousands of island residents, year after year. 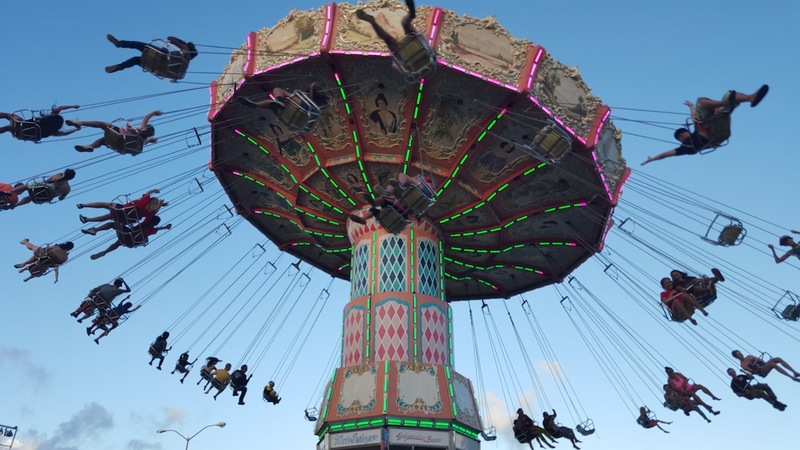 This year’s event, which ran from Aug. 13-26, had plenty of new entertainment and rides. But every year, what is most precious about attending the fair is meeting our friends, some of whom we only see at the annual event. For Kaua‘i ‘ohana thanks all our friends for supporting us in many different ways. Mahalo nui loa for believing in us and making this newspaper a reality. Laurie Cicotello, of Wailua, and her parent, Dainna Cicotello, of Colorado. 1996 Hawaiian Triple Crown of Surfing Champion Kaipo Jaquias, of Puhi. Andy and Nancy Bushnell, of Wailua. Kaeo Kinoshita with his kids, Kaeia and Madison. Melissa McFerrin, of the Kaua‘i Farm Bureau.